HISPANIA. Carthago Nova. 1-1/2 Shekel (11.02 gms), ca. 221-206 B.C. NGC Ch VF, Strike: 5/5 Surface: 1/5. Repaired..Burgos-486. 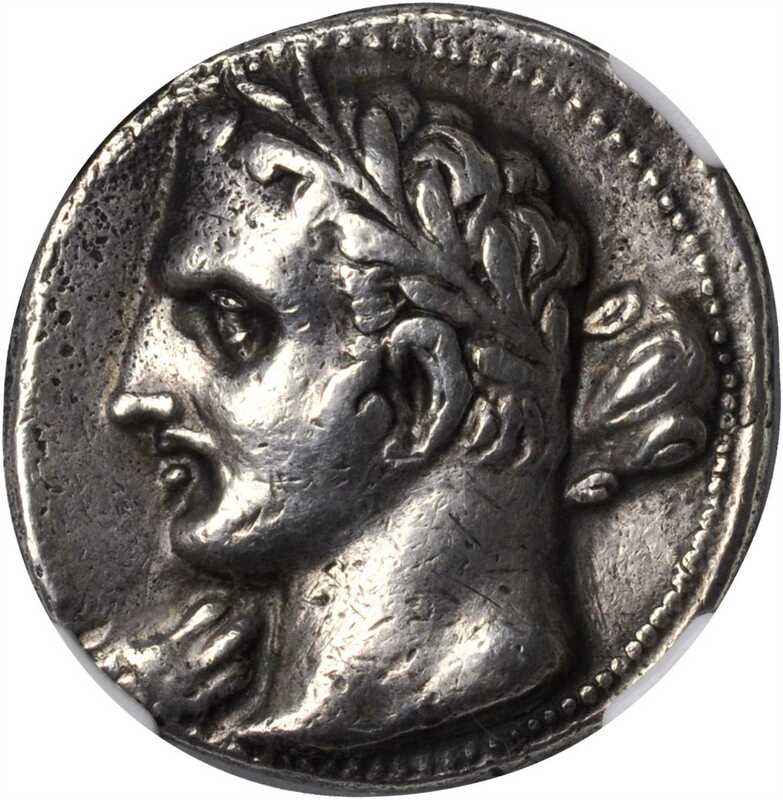 Laureate male head (Melqart or Hannibal) facing left, club over right shoulder; Reverse: Elephant standing right. Repair work evident on the elephants body. Otherwise a wholesome, well centered and strongRARE/strong piece boasting great strike details. pemStruck for the Carthaginian possessions in Spain, a natural place for expansion after their defeat in the First Punic War where they lost Sicily and Sardinia. Here they regrouped for the inevitable conflict with Rome, the Second Punic War, most famous for Hannibals Crossing of the Alps./em.Purchased privately from NFA.